Calco Commercial Insurance specializes in General Liability Insurance for Recycling Centers. Our dedicated licensed professionals are available to provide a no obligation quote by phone at (877) 225-2699 or you can get an online recycling center insurance quote. Other available coverages are workers compensation, pollution, crime, and commercial auto. 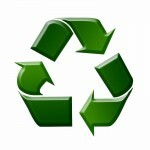 Call us toll free at (877) 225-2699 or get an online recycling insurance quote. Calco Commercial Insurance is a leader in the Recycling Insurance industry. We focus on our client and are always improving coverage and lowering premiums. Currently, we offer insurance in Los Angeles, San Francisco, Sacramento, San Diego and all the other cities in California. The states which are coming soon are Texas, Florida, Georgia, and New York. This entry was posted on Wednesday, February 1st, 2012 at 7:03 pm	and is filed under Recycling Insurance. You can follow any responses to this entry through the RSS 2.0 feed. Both comments and pings are currently closed.